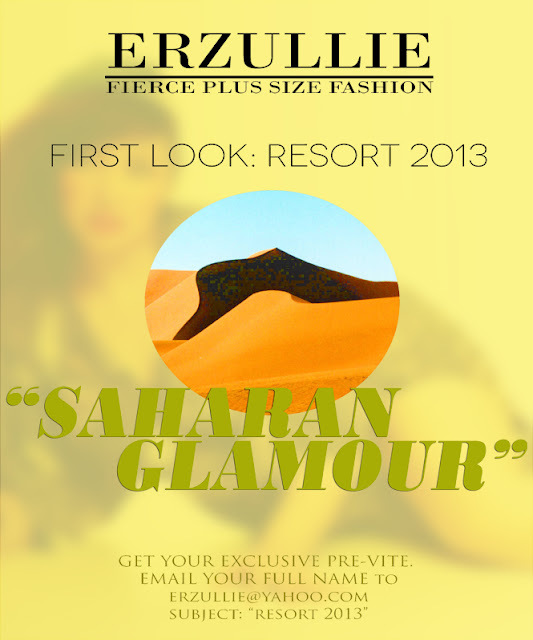 Erzullie Fierce Plus Size Fashion Philippines: PLUS SIZE FASHION: LAST DAY TO RESERVE YOUR SLOT FOR THE ERZULLIE FIRST LOOK: RESORT 2013 EVENT! PLUS SIZE FASHION: LAST DAY TO RESERVE YOUR SLOT FOR THE ERZULLIE FIRST LOOK: RESORT 2013 EVENT! Today is the last day to reserve your slot, Erzulliestas! We are also down to the last one! If you got a pre-vite, make sure that you reply and reserve your slot immediately! If you want to grab a chance to be part of this event, make sure that you get a pre-vite today! PLUS SIZE LIFE: "I AM CONFIDENT WITH MY CURVES"